Monterey Peninsula Country Club - Shore Course - Monterey, CA — PJKoenig Golf Photography PJKoenig Golf Photography - Golf Photos For Those Who Love The Game. 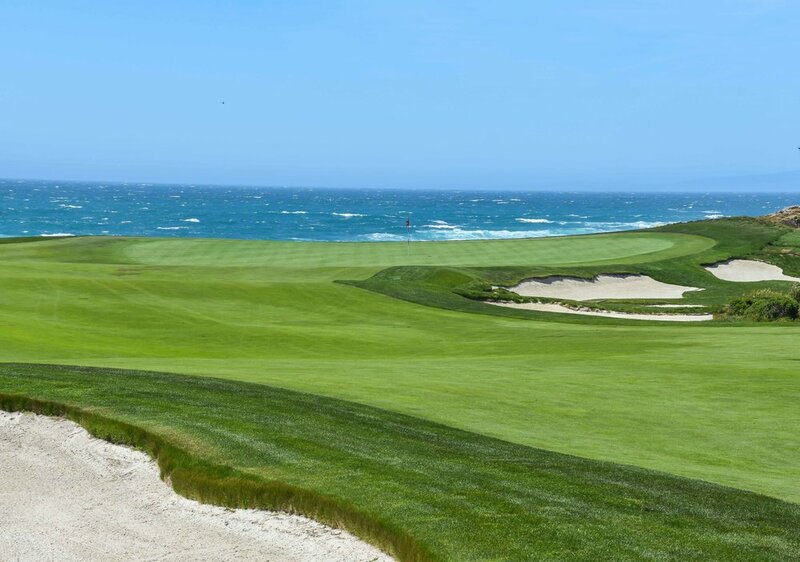 Coming in hot at #65 on Golf Digest's 100 greatest courses in America is MPCC's Shore Course. The Shore Course came along 36 years after MPCC's Dunes course in 1960. The members hired Robert Baldock as the architect and they only needed $100,000 to complete the project. In 2003, Michael Strantz would be hired to complete a remodel. By all accounts, the effort was a rousing success. My round at MPCC would only be successful through 11 holes. On the 12th hole, the bogie train would pull up green side, I would board it and ride it back on into the club house. This was certainly not a problem as this bogie train ride is what one would consider a "top notch bogie train ride." With views of the pacific and many great holes, the course is a real pleasure to play.